This Highlighted itinerary presents China’s key cities in just 12 days. Starting from Beijing, explore imperial treasures like the Forbidden City and the Great Wall; Experience cosmopolitan Shanghai and surrounding cities, where the richest culture can be found; tour the most unique cities of China: Hong Kong and Macau. Follow the steps of the ancient merchant and rediscover the route of Maritime Silk Road. Departure from your gateway (Selected US/Canadian cities) to Beijing. Cross the International Date Line and arrive in Shanghai the next day. On arrival, your MyEscapades local representative will greet you at Beijing airport and transfer you to your hotel. The rest of the day is free to relax. After a buffet breakfast, today’s tour starts at the incredible Forbidden City, a UNESCO world heritage site. This Imperial Palace complex was home to 24 different Emperors who lived and ruled for over 500 years. After exploring the magnificent Imperial Palace, visit the famous Tiananmen Square; it is the largest city central square in the world! Remember to pack your camera! After lunch, visit another UNESCO world heritage site, the Summer Palace (UNESCO) and discover the royal gardens, pavilions and halls in a tranquil lakeside setting. Welcome dinner tonight. Today, proceed to the famous Great Wall of China (Juyongguan) one of the “Seven Wonders of the World”! Another site recognized by UNESCO, the Great Wall stretches for over 8,000 km. The whole morning is free to tour and take pictures of this spectacular site. Lunch at local restaurant. Visit Temple of Heaven in the afternoon. 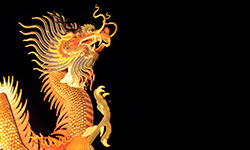 Additional evening activities: Local Special Peking Duck dinner and amazing Kung Fu Show Package. Today you are free to explore Beijing, or you can sign up to join one of our popular day tour programs. We will take a late night flight to Shanghai. Upon arrival at Shanghai airport, transfer directly to Suzhou by bus. It is only about a one hour drive. Additional one day tour Program: Tour the iconic “Beijing 2008 Olympic Center”; which includes the famous Bird’s Nest and Water Cube which now hosts many spectacular opening ceremonies and events. Although there is no tour inside these buildings, it is a magnificent architectural structure from the outside, providing a perfect photo opportunity. Then, take a famous rickshaw Hutong Tour & Local Family Visit, this package also includes a traditional Beijing Zhajiangmian (“Fried Sauce noodles”) as lunch. Suzhou–the city of paradise is also known as the Oriental Venice for its exquisite canals, bridges, pagodas, and beautiful gardens. Suzhou is designated a UNESCO World Heritage Site. After breakfast, tour the Lingering Garden, a classic private garden with 500 years of history. Next, visit the Suzhou Silk Factory, the largest silk factory in the country to discover the mysterious processing of silk and the Suzhou Research Institute of Silk Embroidery, a special needlework of silk. After lunch, enjoy a cruise along the ancient canal from the city to the picturesque Grand Canal. Late afternoon, continue to Hangzhou, the city of natural beauty. Hangzhou, also known as the “Paradise on Earth”, has been immortalized by countless poets and artists. The West Lake Cultural Landscape has been listed as a UNESCO World Heritage site. After breakfast, visit The West Lake, the most beautiful lake in the country. Then, visit No.1 Tea Plantation and taste the well-known Dragon Well Tea. Many studies say that green tea is excellent for your health. Dragon Well Tea is the best Green Tea in China. After lunch, drive to Shanghai. Take a flight to Hong Kong in the morning. After check-in the hotel in downtown, the rest of the day is free time in this shopping paradise. Today is free to explore Hong Kong, or join our optional half day tour of the island city. The 6 hour optional City Tour is recommended to experience the beautiful Hong Kong Island. Then spend the afternoon exploring Hong Kong as a shopping paradise. Hong Kong half day city tour includes Victoria peak, Stanley Market, Repulse Bay, and Aberdeen Fishing Village (including Sampan boat ride). In the morning, take a Turbojet Ferry to Macau. Explore the Ruins of St. Paul, Monte Fortress, including a section of the old city wall, and Senado Square. See the Border Gate and shop for local souvenirs at the sidewalk stalls. After lunch at a local restaurant, continue city sightseeing with a visit to the A-Ma Temple, from which Macau gets its name! Visit the famous casinos if time permits. Return to Hong Kong by Turbojet Ferry before dinner time and return to hotel. Transfer to the airport, departure from Hong Kong (via Beijing) for your return home. - All deluxe hotel accommodation based on double occupancy,5 stars in China, 4 stars in Hong Kong. - Taxes and fuel surcharges. - Chinese Visa Application fee.